Searching for a great small business website design for your business? I know you are too busy. I also know that you want to create an awesome website design for your business real quick. After building websites for years I have figured out the following 10 important steps anyone looking to build a small business website can follow. This is like a setting the final destination in your car navigation system. If you don’t know your destination, how would you find the path? Most people start a small business website design according to their own design likings and preferences which is not a best way to start. Q: What one action step you want your website visitor to take on every page on your website & how your website design can help your visitor to take that action? If you know your website conversion points very clearly, creating an awesome looking small business website design will be a breeze. There could be various conversion points for a website or a blog, whatever your conversion point is, you must be crystal clear about that because clarity helps a lot in achieving your goals. You will get much better results and it will be lot easier to find success if you keep your goal down to one. Often multiple goals create chaos and hard to achieve. You don’t get the second chance to make a first impression. Good small business website design is so important to make a first impression that really counts. Rafal Tomal explained in his post 5 excellent tips on how to improve blog design. You can easily apply these design tips to any website as well. Domain name is your address on the web choose it wisely. How important is to have a keyword in a domain name? No one can explain it better than Google itself. Matt Cutts explained it beautifully in this short video. Another very important decision to make and you don’t want to go wrong here. I am huge fan of using WordPress with Genesis platform and believe that WordPress is the ideal solution for majority of the busy small business owners. Why I am a huge fan of WordPress? It’s wise for busy business people like your that not to invent the wheel again and go with the platform, which is highly trusted by top Internet professionals. Once you have the small business website design completed & domain name selected, you will require space on the Internet to host your files. Selecting a wrong hosting provider can be really costly and frightening. For example, imagine a scenario that you are running a thousands of dollars marketing campaign and expecting a huge spike of traffic to your website and your hosting provider’s server is down. A situation no business owner wants to face. Being a busy business person you want your website working 24/7 & 365 days a year. I use Hostgator for my websites; their hosting packages and customer service are great. If you are looking for a premium hosting provider for your WordPress website, it’s worth checking Synthesis hosting service recommended by Brian Clark of Copyblogger media. On the Internet “content is king”. Every page on your website if created correctly works like your sales representative and can pull new clients 24/7. Exactly the same way your physical sales representative works for your business. Only difference is that you put the effort once to create the content and it works for you 24 hours a day, all year long without a salary or commission. These are the bare minimum pages for any small business website. Often your about page is the most popular page on a blog or website. Of course people want to find out who is behind the business before doing any business with you. Derek Helpern from DIY Themes written a great post on how to create an amazing about page. I hope this will help you to spice up your most important page on your website. Regularly Updated Pages: This bit separates an ordinary website from an outstanding website. Most small businesses often create compulsory pages and then hope to get the traffic to their websites. Do you know that Google rank each web page individually? For example, if you have a 10 page website then you got 10 chances in Google (search engines) that your prospects can find you using different search phrases. 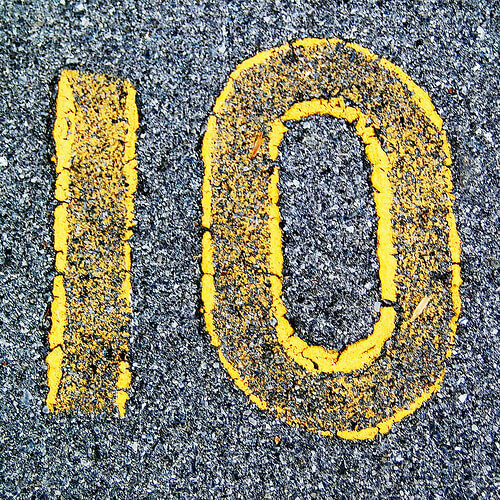 And if you have 100 pages on your website, theoretically you have 100 chances in Google to rank for different search phrases used by your prospects. More content also leads to more website authority and often attract higher rankings in search engine. Blogging software such as WordPress provides an excellent opportunity for any non-technical person to create a regular content with ease. Every new blog post you publish adds a new page to your website. You can have a best website in the world but it will not do any good for your business if you don’t have a targeted & steady number of people visiting it. Free Traffic: Best way to attract free traffic to your small business website is to create regular quality content and sharing it on social media with your communities. Paid Traffic: Only other way to drive traffic to your website is paid traffic If you don’t have time and resources to create quality content and build a community around your business using social media tools such as Facebook & Twitter. Easiest way to buy quality traffic is using Google adwords or Facebook adds. Having said that it is not the cheapest option. For example, if you are an accountant in the UK, you can see the expected prices below to pay for each click you will get for your targeted keywords. Biggest drawback of paid traffic is that it stops the moment you stopped paying for these clicks. But in content creation and community building, you put your efforts at the start and then slowly and steadily you enjoy free traffic for longer periods. I am assuming that by now you have the clear idea of how difficult is to create an ideal small business website design and driving traffic to it. You must have a really strong system to capture at least an e-mail from your website visitors. If you don’t have the lead management system in place then you will not have any way to bringing your website visitors back to your website again. No matter which way you are driving traffic to your website paid or free, you must try to capture the e-mails of your prospects using the tool such as Aweber. Once you have the e-mail address captured of your prospect then using the Aweber you can send them quality content to build relationship, which can turn into a sale later. It’s really hard to sell online if you don’t have any rapport with your prospects. Treat your e-mail list with care and build rapport first before asking for a sale. Building a website that converts, is not a one off thing. Regular efforts, testing & tweaking is required to achieve the best possible small business website design. Don’t let the idealism to hold you back to launch your website until it’s ideal. Set a time frame to launch, make it complete as much as possible and launch. Believe me, you will have always needed to improve it. Keep doing that after the launch of your website. This must be your top priority. If you don’t have a reliable and user-friendly backup system, it is like owning a house without building insurance. How will you rebuild the house if some thing goes wrong? 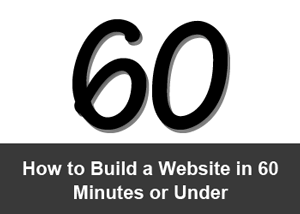 It requires huge amount of time, efforts and money to take a simple website and convert into a business. Therefore, if you don’t have a system to back up and restore your website or blog really easily, then I am afraid your gambling with your future. Question: Did you consider these factors before your small business website design project? You can answer in the comments below to participate in the conversation. Rana – nice work man! Great advice for anyone looking to create a new website or update their old one. On domain names I say go for brand! Matt said it himself, they are turning the knob down on the weighting given for keywords in domain names. I think it should be turned way down, who cares if you were the first to get that domain, it has no bearing on whether or not the content you create has anything to do with those keywords. Content is king! Steve, I am glad that you liked the post and I fully agree with you that nothing can beat the quality content. I would also prefer the brand able domain name. Excellent excellent excellent Rana! I *wish* someone sent me an article like this when I was starting. Its SO easy to jump into blog design and miss out on lead management. Or to focus on lead management and skip a clear design goal. This walkthrough is awesome and I haven’t read anything so clear on the topic. Thank you so much Jason for finding this post simple and easy to understand. Great points. I wish I knew them all when I started… It took a major redesign to get things working, and I’m already wondering when I’ll find the time for the next round of tweaks. Thank you for sharing your experience. I think it’s never too late and you can’t learn without failing. Good luck with your new website and I hope that you will not caught up in too much details this time and delay the launch of your website because building an ideal website is a long term project. This is a great guide, Rana. We have 3 websites through which we operate our small business and the fourth one is under designing process. Initially we were not aware of what it should be like so we have to go for major changes at regular intervals. All these points are of great significance for anyone looking to design a website. This is a really thorough post! I do freelance web design and I think that this post really illustrates both the complexity and associated costs that come with website design / redesign. Besides this, though it might not be of technical nature, we can include a ‘trial-and-error’ personality. Web owners have to be aware that creating a website does not guarantee at first launch. There will always be trial and errors, to find the right elements to put in a business site, depending on its goal and target market. For those of us who are fighting to keep our small business alive, we have had to let go of certain things like the budget for website creation, maintenance and design. Thanks so much for the useful information and the way that you laid it out! I could not have done it without your help. Unfortunately, the internet has had such an impact on the profitability of my company, yet I had to cut the budget to maximize its potential. Thanks for saving me from getting offline all together! Great article. Seriously really! So much so that I wanted to share it with a couple of friends. Do me a favor, look at this post from an iPad. Just do it and then try to share something. Impossible to share the article! That share widget hides off to the left and is unreachable! At the very least put the buttons also on the bottom for after reading sharing. Anyway, I liked the article and found it useful. Thank you for being so awesome to point this out. I’m going to sort this out right now. “More content also leads to more website authority and often attract higher rankings in search engine.” So true. It’s great content that’s at the crux of practically all on-page and even off-page SEO. Really good content builds trust, gets shared and boosts conversion rates. A very well written, concise road map for companies looking to maximize their website ROI. Some things seem obvious to those of us that are marketing savvy but they are the things that also get easily overlooked. Sadly a lot of small businesses pay to get ther website designed and don’t think any further than that. They also do not realize that a website is not a static entity it needs to be reviewed and improved all the time to keep it current and worth re-visiting. Thanks you for the article, I can not stress enough the importance of content creation and having a great hosting provider! Thank you! Great check list. I have to say that wordpress seems to be the best platform for many small businesses to choose, at least at this point. I am very glad this content was available. It’s very thought provoking, informative and easy to read and understand. I know this information will be very helpful for me in the future. I am planning to build abusiness with website design and this is some pointers that for sure I will keep in mind. Good tips Rana. Very comprehensive. I could not agree more about the imporatance of a backup! The worst way to realize you need a backup is by loosing your site, with wordpress a simple plugin can save you tons of time, just do it, backup your site!